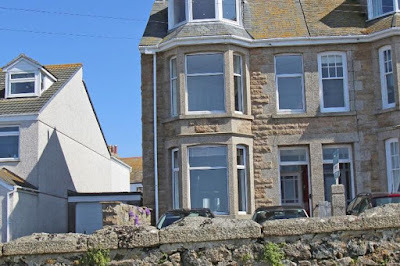 Hi bloggers, so this is the week we have been waiting for for months and it has finally arrived, our St Ives Craft Retreat. 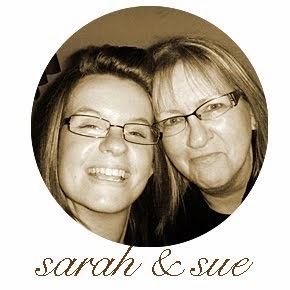 I was hoping to blog as soon as we arrived but the sea air catches you out round here and it wasn't long before we were wrapped up in bed, catching up on essential sleep for the crafting days ahead of us. 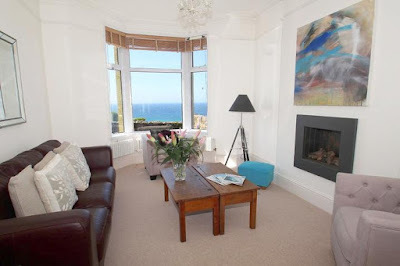 Our first time craft retreat includes 4 guests plus our two selves staying in the most beautiful three storey house with magnificent views across Porthmeor beach. Here's a little taster of our accommodation for the next week. 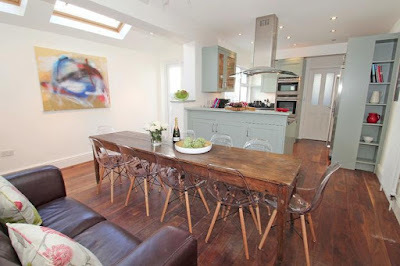 Pictures below courtesy of Cornish Cottage Holidays. 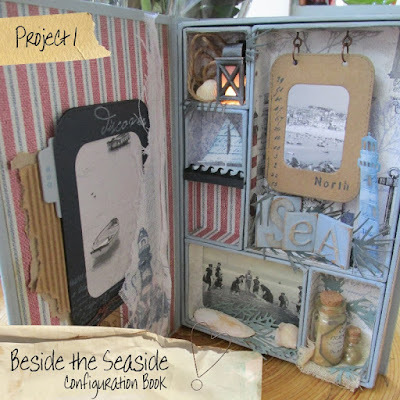 Waking up to back to back blue skies definitely put us all in the crafting mood on Day 1 of our Craft Retreat, where at breakfast we revealed the first project - 'Beside the Seaside' Configuration Book. As usual all the kits were prepped ready for our guests to help make the project much more relaxing. Each kit also included a mini distress ink pad with a mini applicator tool for them to keep and use across both of the projects this week. Beside the Seaside configuration book encompasses everything 'seasidey', from shells and seaweed to lighthouses and boats. We even included a miniature light up lantern, giving a smugglers feel to the project, really bringing to life a life beside the sea. Aprons at the ready our guests were ready to get stuck in! To start the project, everyone needed to paint a base coat over the whole box including the miniature boxes inside before covering with paper and ink and then filling with lots of die cuts and embellishments. The best thing about this project is that we left some boxes empty for our guests to fill with treasures from their trip so a walk down to the beach to collect some shells and also local knick knack shops is a must! Everyone's boxes turned out fab with everyone's own personality shining through with small differences in embellishment layout and placement. All that is left to do is to attach the battery back and light up the lantern! 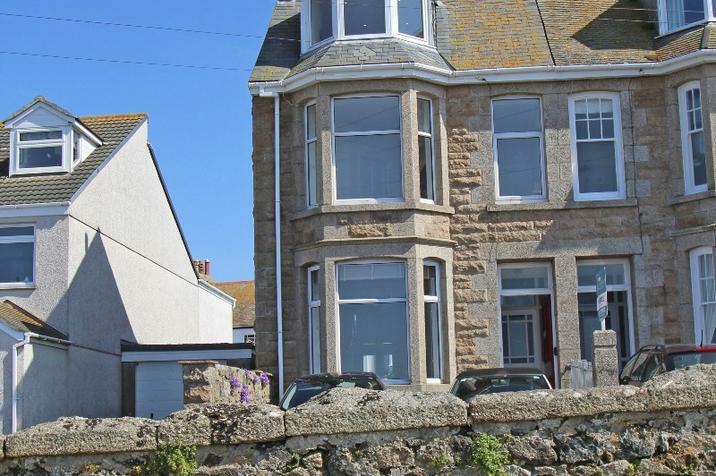 After we had finished the project it was time to explore St Ives. with a gathering at Pizza Express come 5.30pm. I think I can speak for everyone when I say that we were definitely ready for some warming food after a hard day's crafting! We decided to go for a quick walk to Smeeton's Pier before the wind picked up a bit and it was time to head back for this evening's project - Resin Bezel (to be revealed in our next post). So the excitement builds for tomorrow's workshop - all to be revealed at breakfast!